Thera-Band Exercise Bands are available in 7 color-coded levels of resistance. Proper use of these systems for resistive exercise provides both positive and negative force on the muscles, improving strength, range of motion and cooperation of muscle groups. Color-coded progressive resistance gives at-a-glance documentation of progress from one level to the next. With Thera-Band resistive exercise systems, measuring progress and achieving goals for fitness or therapy is easier than ever before. Different resistance levels are determined by thickness of the band. We designed the Thera-Band Progressive Resistance System with color-coded levels increasing in difficulty from tan (Extra Thin) to Silver (Super Heavy). 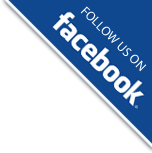 This comprehensive system provides positive reinforcement and feedback for gauging results. 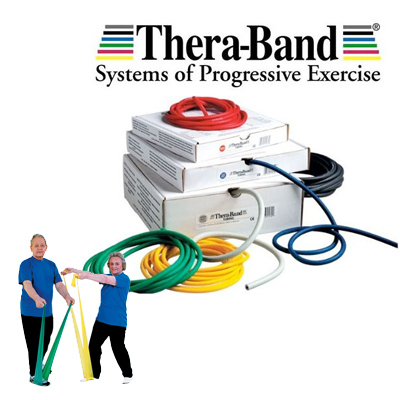 Thera-Band® resistive exercise systems cost much less than other exercise equipment sold with claims of achieving similar results, plus they are portable and versatile with virtually unlimited uses. Thera-Band exercise bands are highly regarded and used throughout the world.